How do I improve NPS? 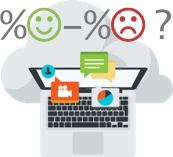 How to improve and increase Net Promoter Score? 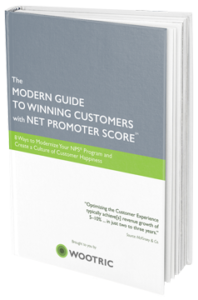 There is no shortcut to improving Net Promoter Score. As some advise, following up with detractors, trying to engage with passives and thanking promoters is a good idea and practice. Good communication is known to be healthy for any kind of relationship. In the short term, it might prevent a few premature churns and clear out some misunderstanding. 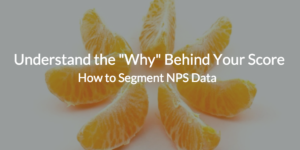 However, for long-term structural improvement to your NPS, you need to look deeper. NPS, after all, is the tip of the iceberg. 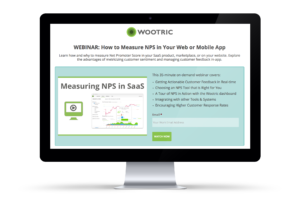 The only way to high NPS, is to incorporate the voice of the customer across the organization and into your product or service offering roadmap. Listen equally to your promoters, your detractors, and passives: what is so compelling about your offering or brand, and what are its weaknesses. Go underwater to look at the iceberg, understand the “why” behind the score. Learn to love unhappy customers’ feedback. We all know about “first impressions”. Customers have their first impressions too. The buyer journey and customer experience might start earlier than you think. Step 1: Get your promoters to spread the good word. Step 2: Keep the brand promise. Remember your first Apple’s experience? I remember mine. I purchased my first apple product long after most people. Despite apple fans raving about the brand — whether their mac, their iPod or their iPhone — I could not be swayed, especially at such a premium. It took one bad instance of PC rage one day, for me to turn to the apple online store and purchased my first mac… And oh, was I impressed by the package that arrived home. I could not get myself to throw the box away. First impressions matter. Step 3: Beware of overzealous sales reps. Understand the customer pain points, and help them choose the right solutions for their need. Having account execs force fit a solution a customer does not need, for an extra bonus, or lies about what the product can actually do is short-sighted and inevitably harms the brand. Think about your customer’s needs before your bottom line. Step 4: Invest in customer success. 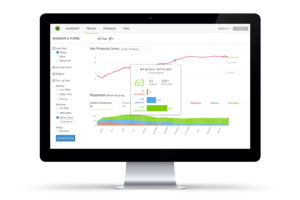 Customer success is somewhat of a new function introduced by the software industry as the software business model and way of selling software shifted from on-premise licenses and maintenance fees to month to month software as a service model. Suddenly product adoption and usage became much more important to a company’s bottom line, as customers switching costs became much lower. But Customer Success is relevant to any industry. Customer Success is not just customer support or service, it is a more proactive approach to these functions. The role of customer success teams is to set expectations, onboard the customer, and make sure the customer make the most out of the product and achieve their desired outcome, and channel the voice of the customer to the right part of the organization. Step 5: Never stop talking to your customers, and taking a pulse. Quite frankly I don’t know how today’s CEO can live without a systematic customer feedback loop. It is akin to flying blind. Good luck on your NPS journey and share your journey with us. Start winning customers for life. Start winning customers for life today. Unlimited responses for Free. Pay for premium features when you need them.